A fun and creative house warming gift. 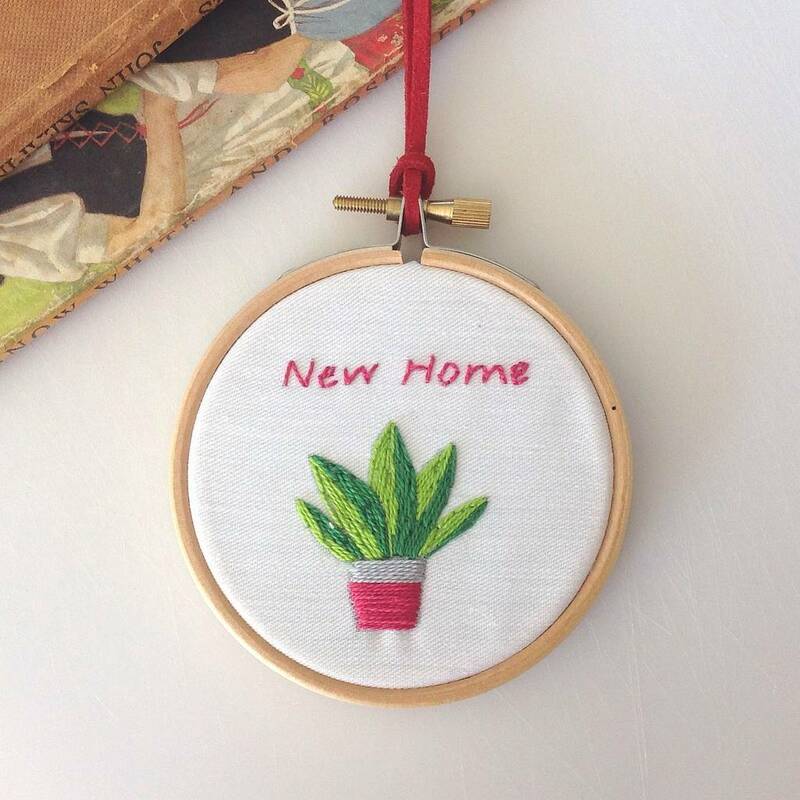 This is a great idea for you to stitch and hand make for a friend or relative who is moving home! Also this would make a thoughtful gift for a friend who is moving home and loves making things. 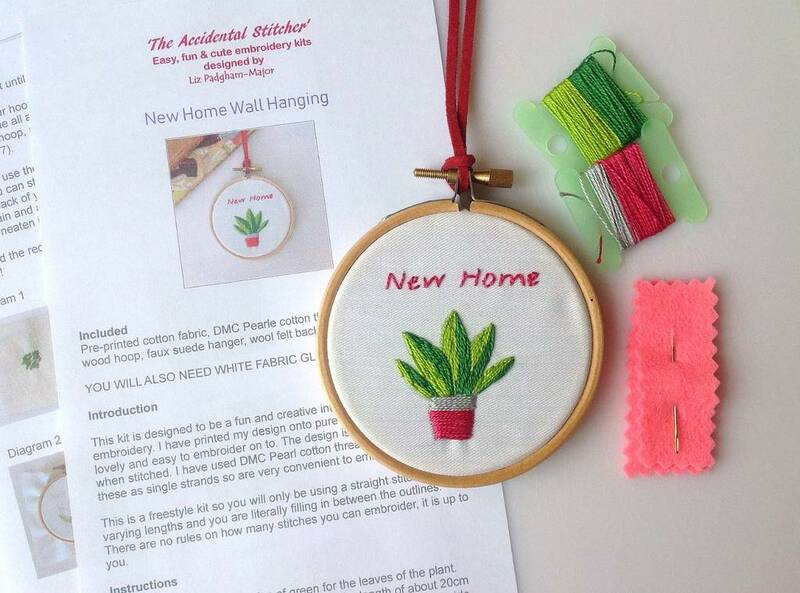 Designed and packaged beautifully this kit has full instructions and everything you need to create a charming wall hanging. The beautiful design is pre printed onto the fabric and this kit uses one free style embroidery stitch and you can be as creative as you like as the design is pre printed onto the fabric for you. 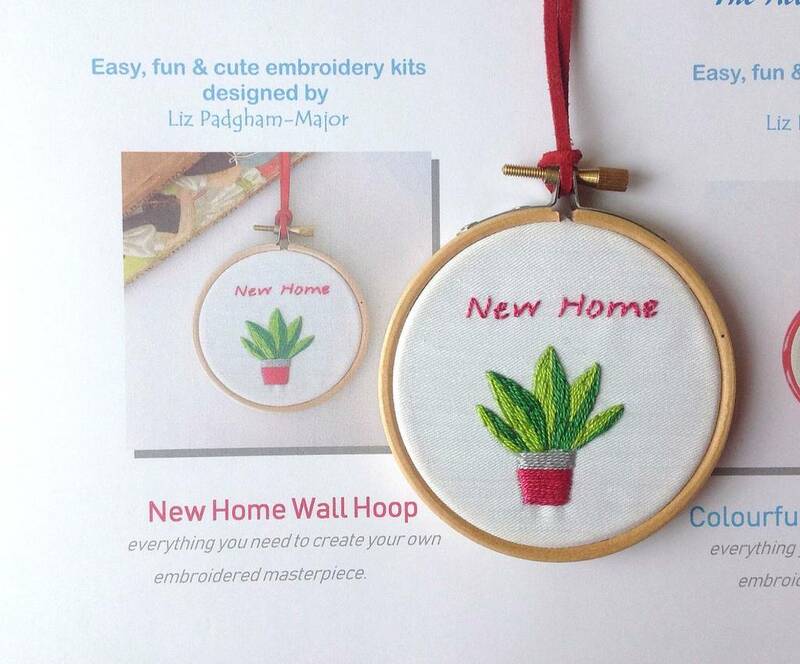 Included in this kit are full instructions, needle, wooden 3" hoop, threads, faux suede for hanging, and pre printed design on cotton. 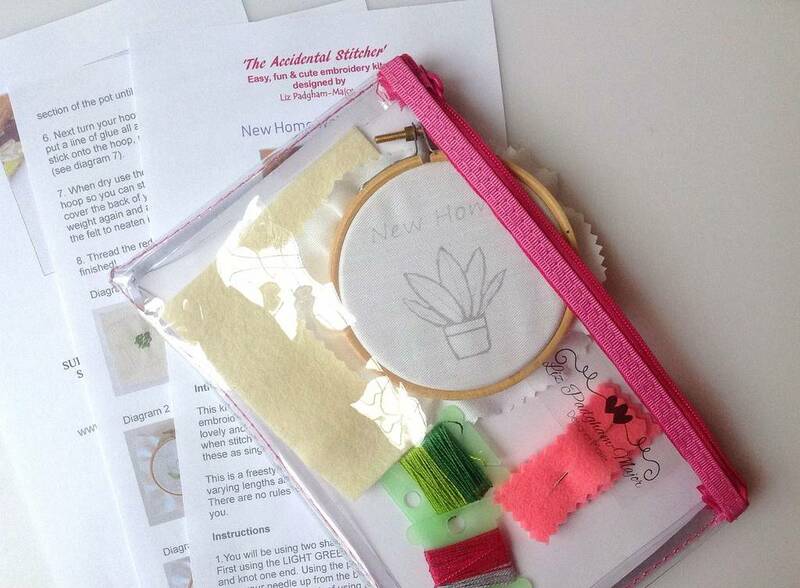 This kit also comes with its own plastic zipper case, so you can keep all your sewing bits together! Beautifully packaged in a zipper purse this is a great idea for a gift. Diameter of hoop approx. 3"